Monday November 30 Champlain Parkway Meeting at Champlain Elementary School 7 p.m.--First in Nine Years! 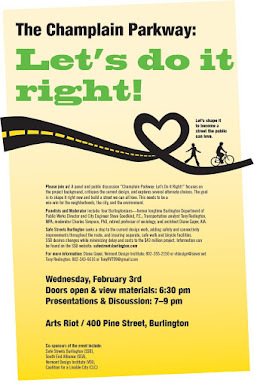 With the first public meeting on the Champlain Parkway in nine years just a week away, a new group, Safe Streets Burlington (SSB), encourages anyone supportive of re-design of the Champlain Parkway to quality and safe walk and bike facilities to attend the public meeting devoted entirely to the current design of the Champlain Parkway. SSB also supports re-design from complete lack of quality and safe vehicle travel facilities along the Parkway route. 7 p.m. Monday November 30, 2015 at the Champlain Elementary School adjacent to Champlain Chocolates on Pine Street. The Parkway cost estimate, now $42.3 million, has no connection to the $11.5 million Railyard project. The meeting occurs nine years to the day—November 30, 2006—when the final public input meeting occurred in the project development process which led to the 2009 the base authorization document, the Environmental Impact Statement (EIS). The Parkway first formal planning meetings began a full half century ago in 1965. 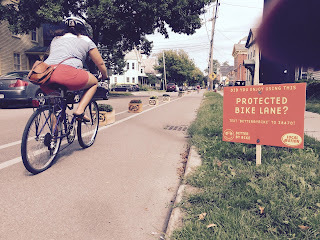 The City's official walk/bike advisory group, Burlington Walk Bike Council (BWBC) after six months discussion and analysis sent a detailed set of recommendations in December 2014 to Mayor Weinberger and Department of Public Works (DPW) calling for a numerous changes including: the safest and separate walk and bike facilities throughout the Parkway, the safest for all users intersections--modern roundabouts--and maintaining connectivity to Queen City Park Road and shopping areas southward with a roundabout at the base of Pine Street. moving six feet of greenway from the west side of Pine to the east side which enables wider sidewalks/plaza space as well as additional green space. The current Parkway design features none of the BWBC recommendations or the street re-alignment sought by SSB. Safe Streets Burlington asks community leaders carefully examine the approved North Avenue Corridor Plan (NACP) which includes the important features recommended by both BWBC and SSB. Burlington residents committed to supporting highest quality and safest walking, bicycling and car facilities for all who live in and visit Vermont's most popular urban destination. 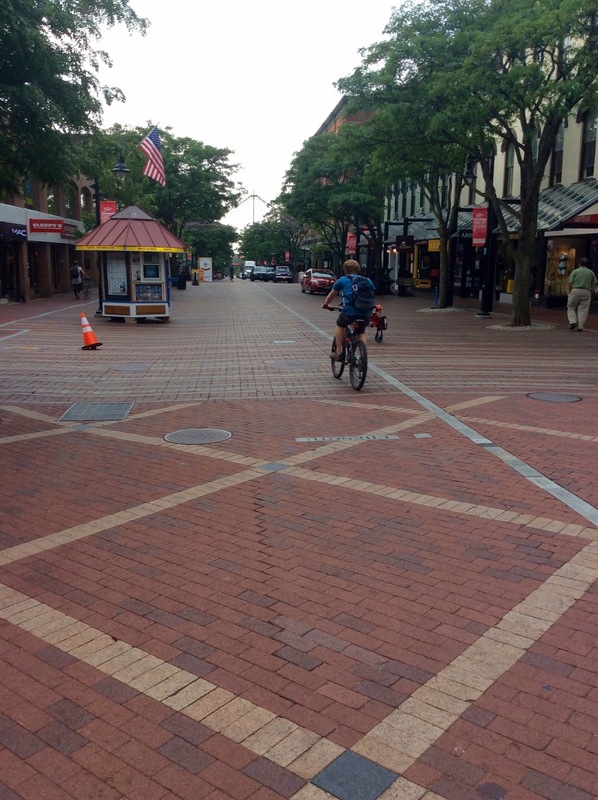 Like the famous Church Street Marketplace with the highest level of safety of any street and all of its intersections in Vermont, the principles of safe busy streets do not stray from separate walk, bicycle, and vehicle facilities, or shared space approaches to urban transportation design. 1. Sidewalks--sidewalks bring the safest environment for walking, cutting accident rates about 90% for the walking mode over streets without sidewalks. 2. Cycle track--protected bike lanes--along street sections afford for bicyclists of all abilities and ages safe conditions. Cycle track on busy streets is the newest and most popular street component since the advent of the sidewalk. 3. Modern roundabouts in single lane configuration also reduce all-modes serious and fatal injuries by about 90%. The roundabout is the "sidewalk" of the intersection, the "intersection safety belt for all modes", and outshines a traffic signals in all respects, such as, capacity to move traffic, reduction of gasoline use and pollutants, and delay for all users. A completely "safe street" with moderate to high levels of traffic features sidewalks and cycle track along street sections along with roundabouts at major intersections. The roundabout in single lane format cuts pedestrian, car occupant and bike serious and fatal injuries by about 90%. 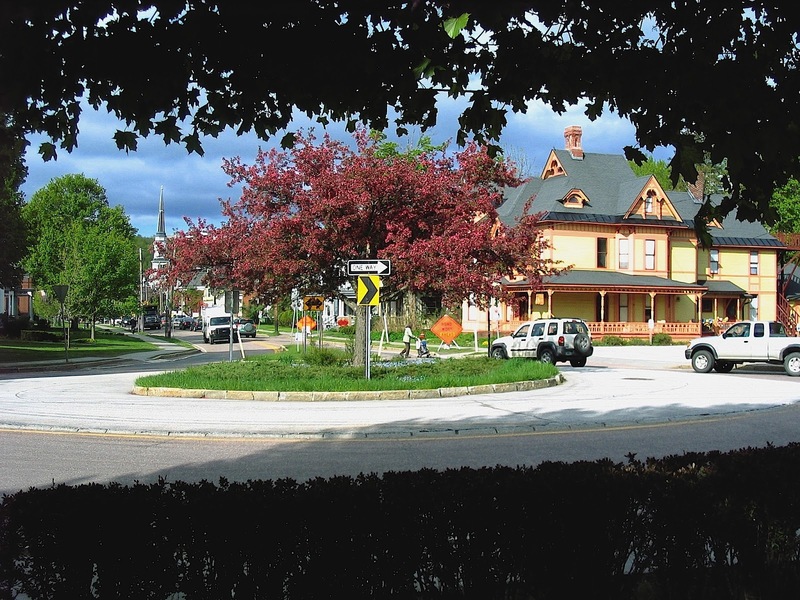 With 3,500 roundabouts in U.S. and Canada, built since 1990, not one pedestrian fatality through June 2015 -- 25 years Burlington! Burlington has 75 signalized intersections and there have been two pedestrian fatalities in 18 years! 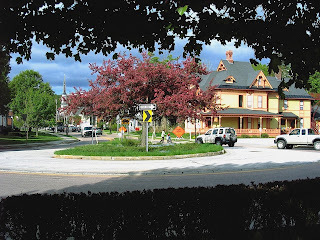 Roundabouts also calm speeds outward along each approach one to two blocks. Only about one in ten able to bike do so on busy streets as they feel unsafe and not without reason. Cycle track, a new approach and immediately popular, puts a barrier, like a curb, flexible posts or other treatment to separate bicycles from vehicle streams. 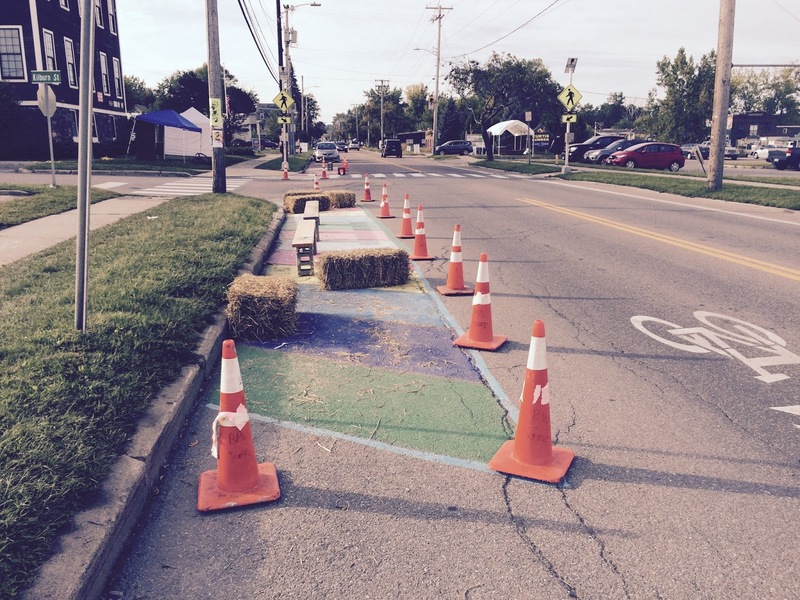 Cycle track passes the "popsicle test" for young children, is termed "family friendly" and offers higher safety than ordinary bike lanes found in practically all cases today.